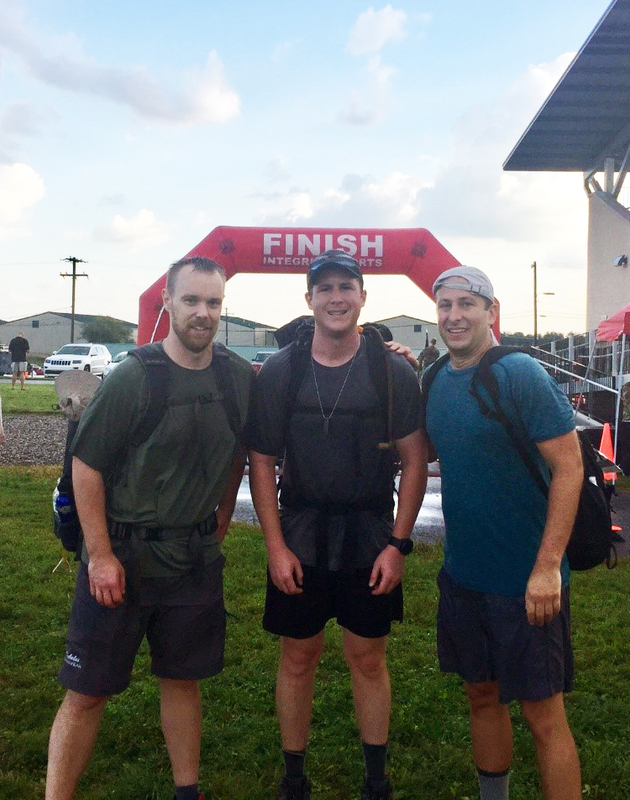 A quant finance crew motivated by the great Wesley Gray, CEO of Alpha Architect, descended on Fort Indiantown Gap in Pennsylvania on September 16 to march in honor of those fallen in the defense of our nation. It was a true show of force: about 60 finance nerds marched alongside 400 other men and women who served in the military. I have never been a runner or hiker, or engaged in anything like this great march, yet the mission of the event was irresistible. The course presented a challenge the likes of which I had never experienced before. A few of my colleagues—Josh Russell, Tripp Zimmerman and Peter Watson—previously have participated in long-distance hikes/marathons and, together, we were motivated to join Wes and crew on the march. The other three in the WisdomTree squad marched with 35-pound packs on their backs; I was just hoping to survive without the pack. There are many powerful lessons to be learned from training for the event, the turnout from our finance community, and the overall performance of our group. Patrick O’Shaughnessy recapped his experience on the march in a blog post here, and tweeted that he hoped next year we get five times the turnout. I think we can hit or surpass that goal, and I want to help spread the word here. Here are some powerful takeaways I had while reflecting on the event. The power of mindset: I worried my training was deficient and that the longest I ever was able to spend hiking was approximately five hours. On the day of the event, it took me 9.5 hours to finish. Yet I finished, indeed, almost doubling the longest time I’ve walked. The morning of the event, I determined I would not entertain any thought other than that I was going to finish. With a determined mindset, I would finish—there was no question about it and no other reality I could envision. The importance of controlling your mindset to determine your reality cannot be overstated. The power of purpose: During the opening ceremony, we were reminded that at each mile marker there would be a photo of the face of someone who fell in our defense—that we should pass each mile and think of that person. The night before the march, Wes gave us dog tags of fallen soldiers and told us to go home, read about them and make sure their sacrifice is not forgotten. Keeping a bigger purpose in mind as you experience challenges helps you power through difficult moments. This was a great metaphor for life generally—news cycles, multimedia distractions, and smartphone apps make it too easy to lose track of what really matters. The power of preparation: Wes relayed a story to me. He said that last year his crew was about 15 guys deep and that approximately 80% to 90% of the group did not finish the event. This year there were around 60 of us, and the percentages reversed: 80% to 90% of the group finished! What was different this year? For one, we came prepared. Dave Babaluk shared memos over five weeks that gave us tips for us to embrace in training. There were proper nutrition guidelines. There was the changing of socks every 10 miles or so. There was how we should tape our feet the moment we felt the pressure of blisters forming. Preparation made the difference. The power of people: If you march in a crew from which a few people bow out, the odds greatly increase that you will as well—even if you were able to finish in other circumstances. If your crew stays strong, it dramatically increases the odds that your mindset also will stay strong. Sentiment is contagious. Mindset is contagious. Keep your teams motivated and strong, and the results that you can achieve are unbelievable. The power of encouragement: This is an offshoot of the power of people, but the encouragement shown throughout the course both from my group while walking with each other and from the army volunteers supporting us on the march kept momentum rolling. Every two miles, there was an aid station with cut oranges, bananas, pickles (yes, pickles are one of the secrets of long marches—who knew?). Words of encouragement and the support network during painful moments on the march helped our team power through. In closing, this was a powerful journey that I encourage all of you to make next year—whether your motivation is the memory of those who served us all, team building within your own teams, personal challenges to test your limits or interaction with an elite group of finance motivators. I hope we see you at the march next year. Semper Fi.